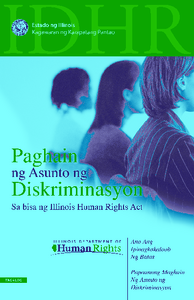 Description: This pamphlet is intended as a general guide for understanding the major services and processes of the Illinois Department of Human Rights. This guide will not answer all questions about discrimination and any individual case may proceed differently from what is described.IDHR has specific regulations and procedures it applies to each case. Palm v. 2800 Lake Shore Drive Condominium Assn. 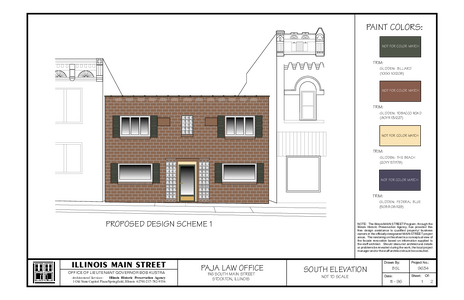 Description: Plaintiff, Chicago condominium unit owner Gary Palm, had a dispute with his condominium association, and, in 1999, sought access to some of its records and financial information. The City of Chicago, a home rule unit, has an ordinance concerning such requests. It requires production within three business days. Production was resisted on the theory that the ordinance was beyond the Citys constitutional home rule authority because state statutes on the same subject have different provisions. These statutes allow 30 days to respond to such requests, while also limiting the age of the requested documents to 10 years and requiring that a proper purpose be stated. The Citys ordinance placed no age limit on the material and required no such statement. Description: Third Division, JUNE 4, 2008 1-06-2076 WAYNE PALMER, Plaintiff-Appellee, v. FREIGHTLINER, LLC, and ZELDA MORENO, Defendants and Third-Party Plaintiffs-Appellants (ADT Security Services, Inc., Third-Party Defendant-Appellee). Appeal from the Circuit Court of Cook County. No. 04 L 1779 Honorable Randye Kogan, Judge Presiding. Description: No. 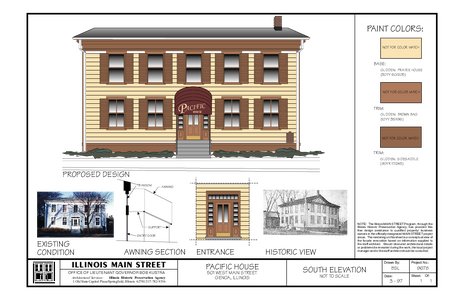 1-05-2513 FIRST DIVISION Filed: 9-17-07 ROBERT PANCOE, Plaintiff-Appellee, v. GULZAR SINGH, Defendant-Appellant. Appeal from the Circuit Court of Cook County. No. 02 CH 4757 Honorable Barbara Disko, Judge Presiding. Description: THIRD DIVISION July 18, 2007 No. 1-06-1234 MARIO PANTOJA-CAHUE, Plaintiff-Appellant, v. FORD MOTOR CREDIT COMPANY, Defendant-Appellee (Doe Repossession Company/Agent, Defendant). Appeal from the Circuit Court of Cook County Honorable Jeffrey Lawrence, Judge Presiding. 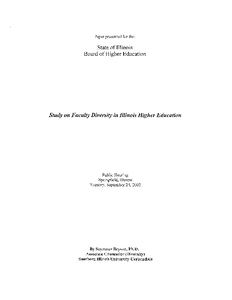 Description: Testimony by Seymour Bryson, Ph.K., Associate Chanceller (Diversity)Southern Illinois University Carbondale. 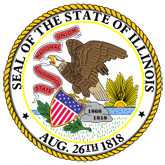 Description: Governor Pat Quinn has selected a member of the United State's gold medal-winning paralympic sled hockey team as grand marshal of this year's Illinois State Fair Twilight Parade. 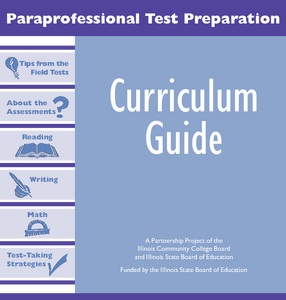 Description: The Illinois Community College Board, in partnership with the Illinois State Board of Education, published the Paraprofessional Test Preparation Curriculum Guide to assist educators throughout Illinois in preparing paraprofessionals to meet the requirements of the No Child Left Behind federal legislation. The intent of the statewide curriculum is to provide consistent, quality preparation for all paraprofessionals in Illinois. There is no cost for the manual. 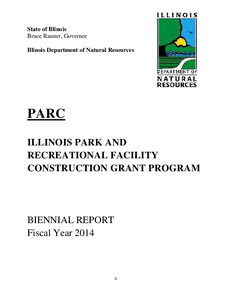 Description: IDNR Recreational Facility Construction Grant Program. 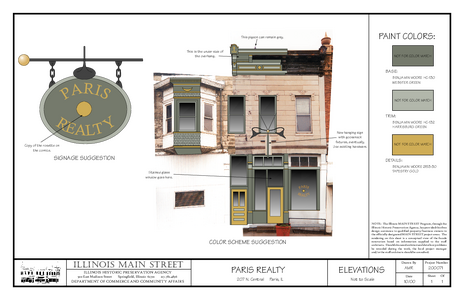 Funding Provided by Illinois Jobs Now! 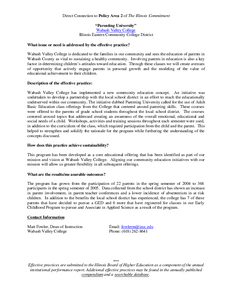 Capital Program. Description: Report from Wabash Valley College of an Effective Practice, a partnership with the local school district in an effort to reach the educationally underserved within our community. The initiative dubbed Parenting University called for the use of Adult Basic Education class offerings from the College that centered around parenting skills. Description: Press Release: As parents prepare to send their children back to school or college, the Illinois Emergency Management Agency (IEMA) and local emergency management agencies throughout Illinois are encouraging them to include emergency preparedness in their back-to-school plans. 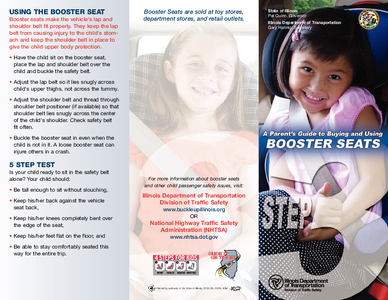 Description: Brochure on Step 3 of the four step child passenger safety guidelines provides information on buying and using child booster seats for ages 4 to at least age 8. 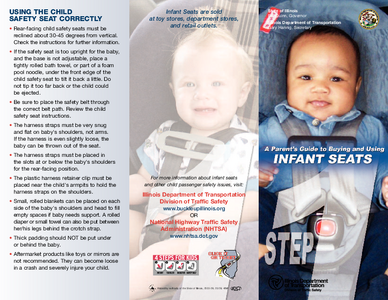 Description: Brochure on Step 1 of the four step child passenger safety guidelines provides information on buying and using infant seats for birth to age 1 or 20 pounds. 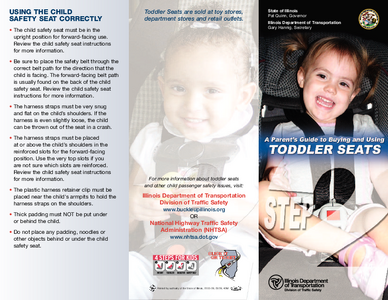 Description: Brochure on Step 2 of the four step child passenger safety guidelines provides information on buying and using toddler seats for ages 1 (20 pounds) to 4 (40 pounds). 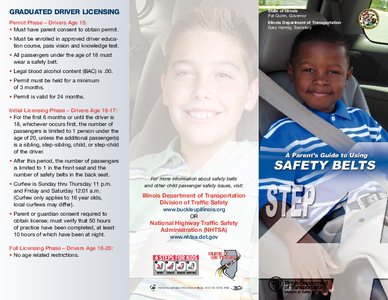 Description: Brochure on Step 4 of the four step child passenger safety guidelines provides information on proper use of safety belts for ages 8 and older and taller than 4'9. 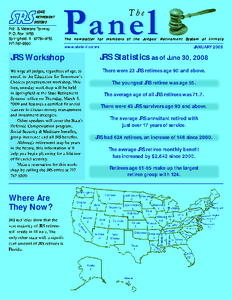 Also provides information on Graduated Driver Licensing ages 15-20.